It happened not only with non-western alternatives (such as the BRICS). The sharp electoral rise of radical protest parties in Europe has shown an increased degree of mainstream instability and clearly limited the scope of its dominance in the modern ideology and political practice. Thus, it is possible to speak about the formation of a new phase of neo-liberal mainstream opposition - the stage of global political legalisation of alternative models of development. Strengthening of global significance of alternative projects has also led to the revival of the role of ideology and ideological struggle in global politics. Thus, the next decade is obvious to become a time of ideological renaissance. This applies to the increased attention to the "old" ideologies, such as Marxism, and the formation of new ideological trends. Mainstream attempts to marginalise ideological struggle and to label abusively the term "ideology" in practice proved to be ineffective. Thus, the role and evolution of ideologies become the key aspects in assessing the global agenda. What is the future, if you do not move linearly towards liberalisation? How are the ideologies changing? What are traditional concepts replaced with (in case of any replacement)? How is mainstream able to "dissolve", "digest" those committed to alternative ideas (Tsipras casus is particularly indicative)? How does a global communications medium work as a catalyst for the confrontation of ideologies? On the other hand, clearly fixed mainstream desire to replace the ideology with values and impose the world the universalisation of neo-liberal values was also used in building of global alternatives. The emphasis on alternative values and the inadmissibility of the universalisation and unification of values and identities took one of the key places. Thus, the clash of values and identities has largely added and reinforced the global ideological struggle. European protest movements, using term "value", are actively forming in the Western public opinion postulate of the absence of axiological unity within the West itself. It is obviously of paramount importance in the transformation of the global agenda. The protest movement received a much broader social base in Western countries which first of all makes the specifics of the moment. In contrast to the previous phase, associated with the anti-globalisation movement in 1999-2003, when mostly left-wing radical group took part in the protests in the West, now we see how the protest ideology receives electoral support in many European countries - from a quarter to a third of voters. In 2015 Greece became the first major EU country where the protest party "Syriza» came to power upon the election results. The impact of protest parties has significantly increased in Italy, Spain, France and other countries. At EU level on the whole it came up during the election to the European Parliament in 2014. The activist of protest movement Jeremy Corbyn became the leader of Labour party which is one of the strategic parties in Great Britain. This peculiarity of the situation makes parallel growth of both the left (socialist to some extend) and the right-wing, conservative protest movements. Sometimes there can be seen the tendency of merge of elements of left and right ideologies of the platform of the same party, for example, in the Five Stars Movement, led by Beppe Grillo in Italy. It is not coincidentally that the European alternative projects have become the focus of the Valdai Club. Two very important and topical Valdai papers are offered to our readers. One of them is the article “Jeremy Corbyn and the politics of transcendence” written by Richard Sakwa. 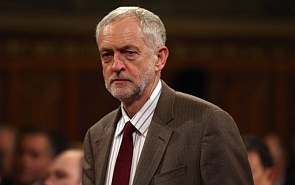 It is devoted to the so-called Corbyn Phenomenon in British politics. The text analyses the reasons why British Labour Party took such an extraordinary solutions to elect Jeremy Corbyn, a politician who has always represented the most non-conformist and left wing inside the Labour Party, as the party leader. Whether this will lead to a change of course the Labour Party or the mainstream "involve" and "swallow" Corbyn as well, as it happened, for example, to Tsipras. Anyway, the main idea of the article is to focus on the reformist potential of Jeremy Corbyn. The problem of rejection and erosion of the neoliberal mainstream has reached a new level in 2015.